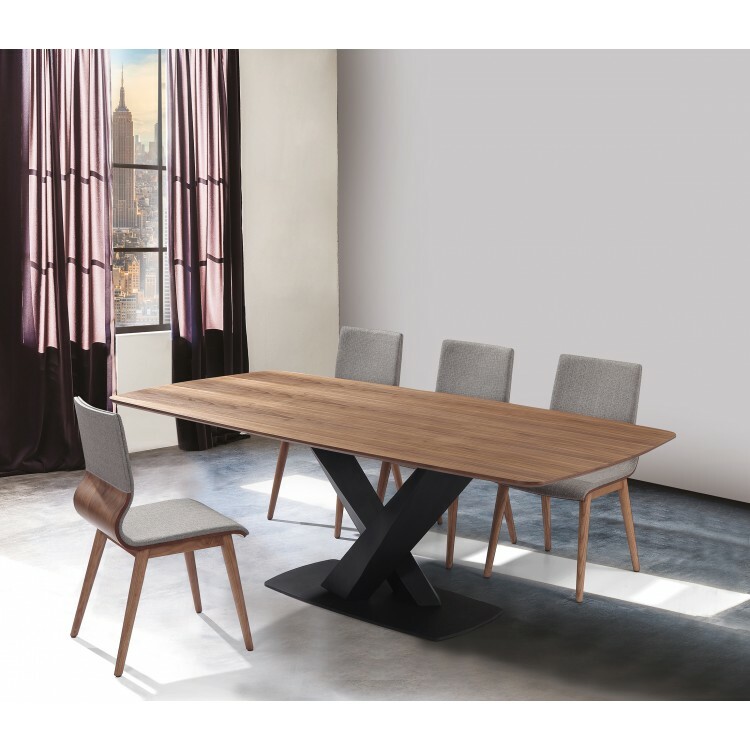 The Armen Living Everett and Robin mid-century dining set promises an unmatched degree of comfort and dependability, making it an ideal choice for the contemporary dining room. 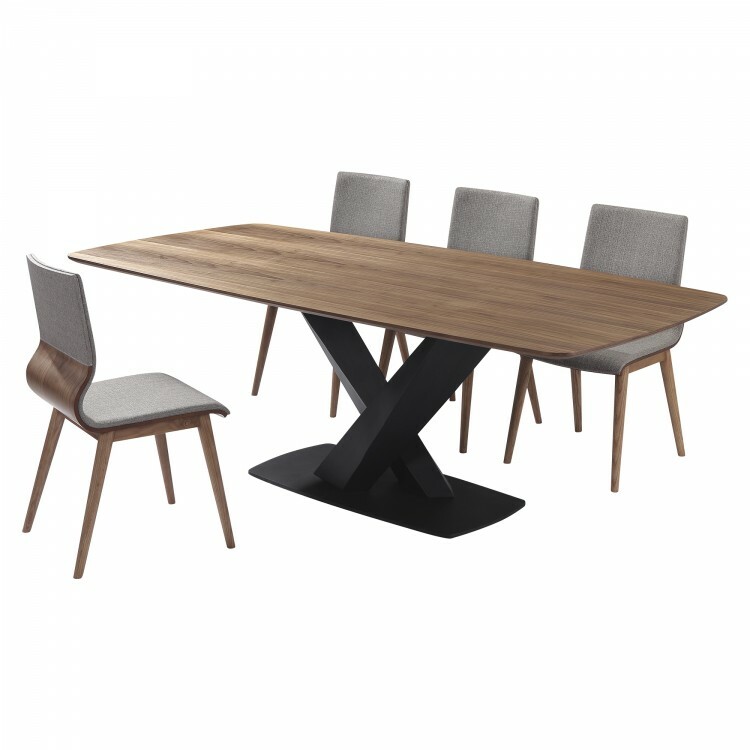 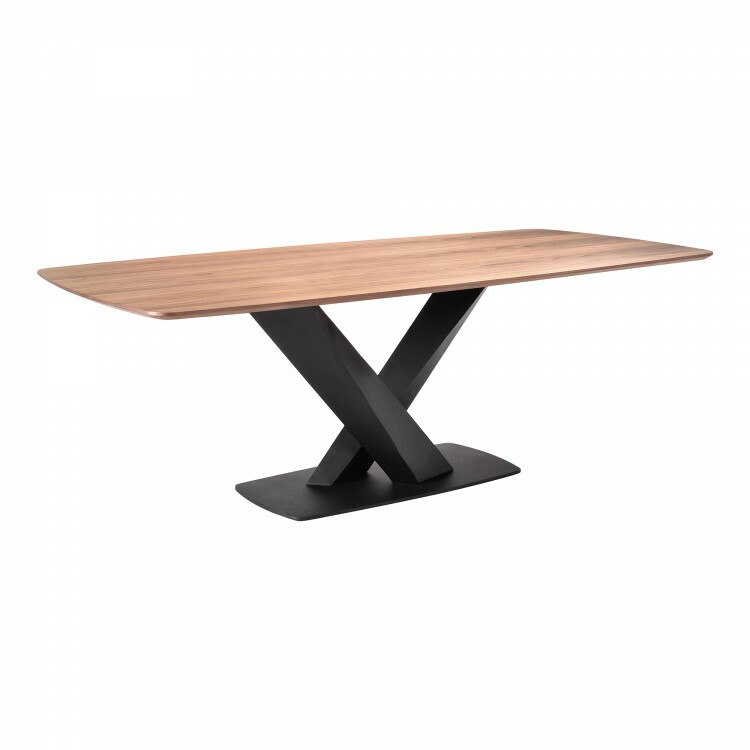 The Everett's modern design boasts a Matte Black Finish metal frame, brilliantly complemented by the table's stylish Walnut Veneer top design. 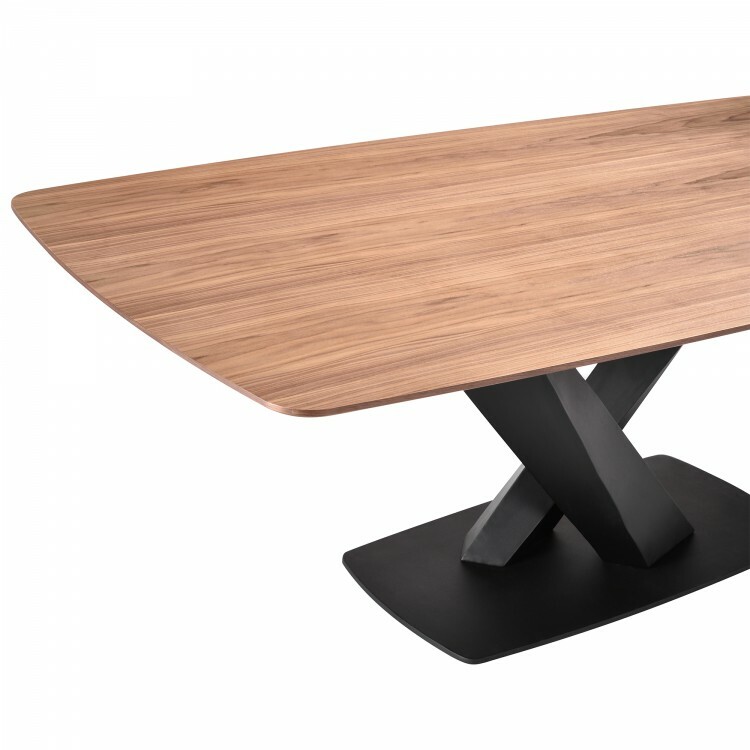 This combination finds its ideal match in the Robin's sleek walnut frame. 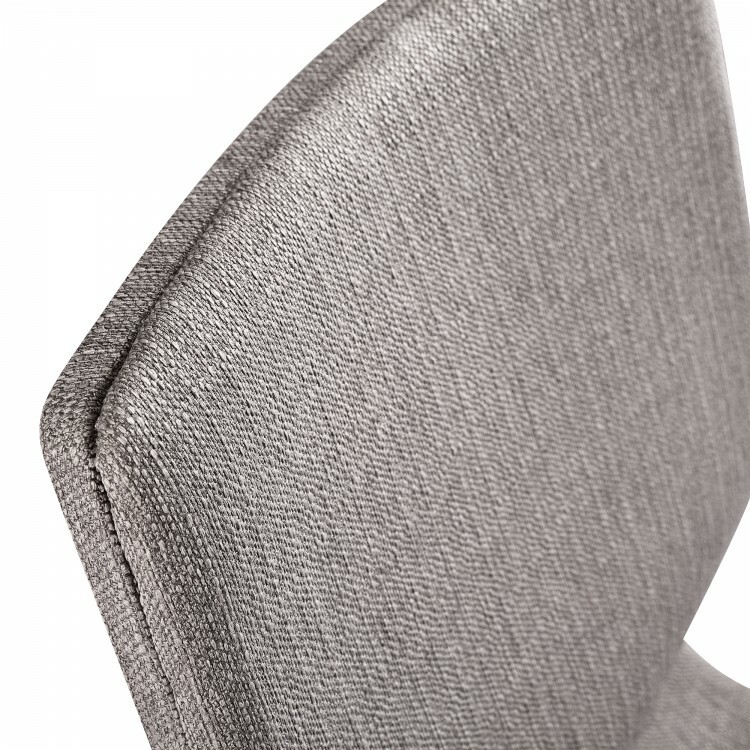 Foam padded and exceptionally comfortable, the Robin offers a supportive frame wrapped in a sophisticated grey fabric package. 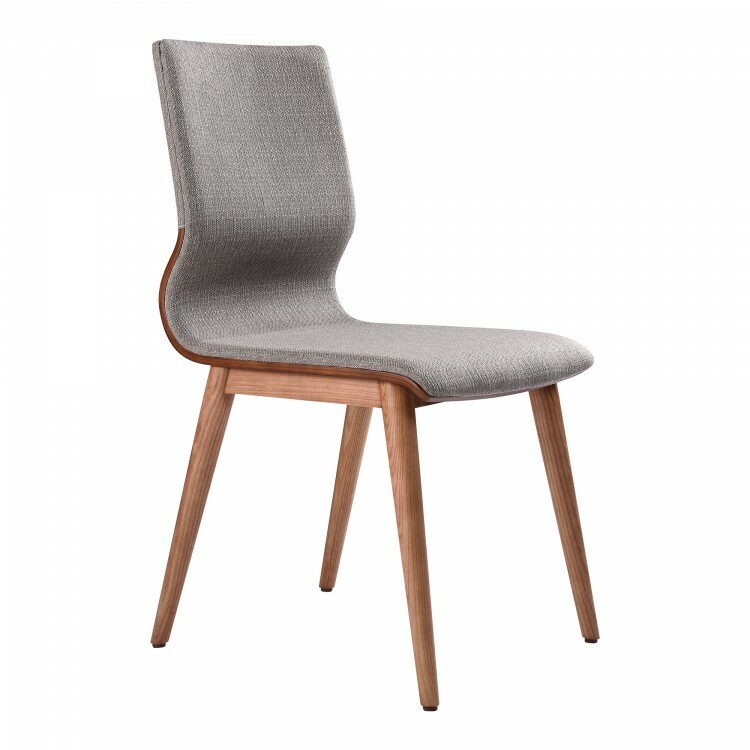 The Everett/Robin combination is designed to fit in any dining room, but features a versatile appearance that makes it perfect for just about any room of the house. 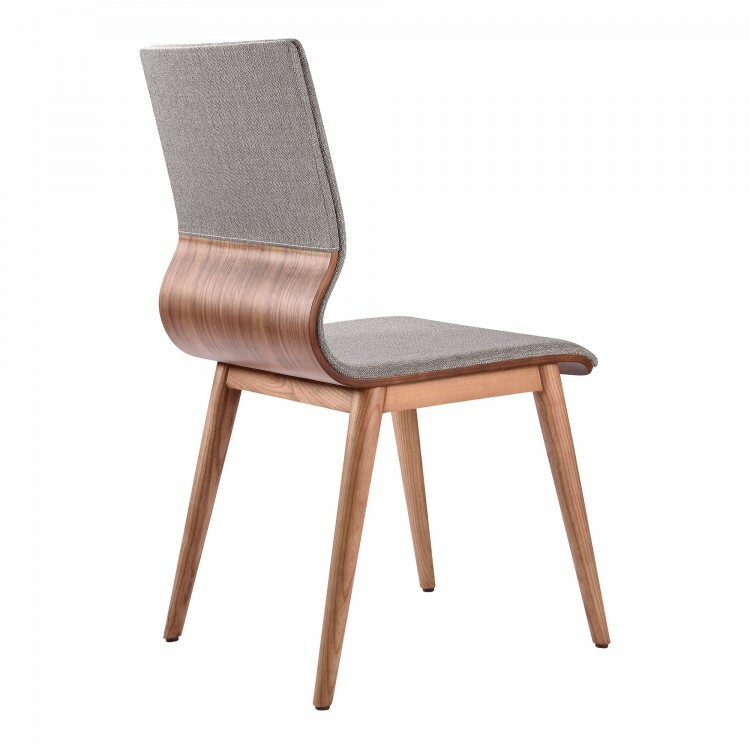 The Everett/Robin set comes with 1 dining table and 4 dining chairs.